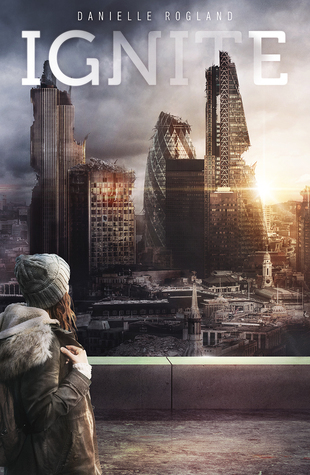 In the ruins of dystopian London, the Empire rules through fear and fire. Ever since her parents were murdered by the empire’s agents, Jacks has been living on the street as a pickpocket trying to keep away from trouble. When she accidentally witnesses the rebel group ‘The Flames’ in the middle of an operation she is unwillingly swept up into their world and has to decide if she’s going to go back to looking after herself or join the rebellion and help them fight for the people of London Ruins. She knows that getting involved was stupid, but does she really have a choice? I am a fan of dystopia. I just love reading about what civilization could be like in the future. So when I was approached by Inkitt to review Ignite and I read the blurb that came with the email, I immediately responded with a yes to my contact person. I wasn’t disappointed by Ignite. Honestly, I was blown away by it. Usually, when I read 1st person and the views keep switching from person to person, it does something to the story. Makes me disconnect from the story and I usually end up not liking it because of that. I have read books, though, where the switching back and forth between different people has worked and it worked well. Ignite is one of those books. The switching between the characters did not take away from the story. The author actually labeled the chapters with the main characters name (Jacks, Corry, Zira, and Jeremy). That way you could always tell who was speaking. The Emporer and the Burners were pretty bad people. The author only touched on what happened to dismantle the government that used to rule London and replaced it with an Emporer who liked to burn things. I am going to take a wild guess and say that it was pretty bad. I mean, there is a part of London called London Ruins. Kinda answers my question right there. The Burners I perceived as reverse firefighters. They lit contained fires that forced people out of their houses. Then they killed them for being rebels. Hence reverse firefighters. I never figured out if they put out the fires or if the fires went out themselves. My favorite character was Zira. At first, I didn’t like her and I did have my suspicions that she definitely had her secrets. When they were revealed, I was just as shocked as the rest of the Flames. But, during her chapters, you could see her anguish over the past and her past deeds. It was after that confrontation with Jacks, that I started to like her. By the end of the book, she was my favorite character. Jacks had to be my second favorite character. She was a tough cookie and she had overcome a lot in her life. It was that strongness that showed in the last part of the book. The ending was pretty much what I expected but the author did throw in a few curves which made the story a lot better and added depth to it. Why: I really enjoyed reading this book. It was a quick read with characters that you couldn’t help but like.